Merri Metcalfe is a doctoral student at the Bread Lab working under the mentorship of Dr. Stephen Jones. 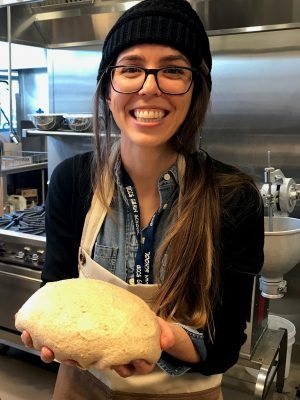 Her research focuses on the accessibility, quality, and affordability of grain-based products from Western Washington and the importance of making nutritious food more available within our communities. She completed a Master of Sciences in Sport Nutrition at the University of Colorado Colorado Springs (UCCS) in May 2018 and is a registered dietitian by trade, but a philosopher at heart. She has spent many sleepless nights thinking about why we are here, the meaning of it all, and our place in this world. She has experience working in clinical dietetics, eating disorder treatment, and sport nutrition, but most recently, has been moved by the need to cultivate a more positive and resilient food system. Robin grew up in the North of Italy being exposed to the natural beauty of the west and the agricultural activities of the east. 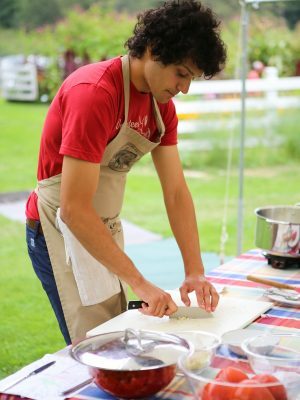 After working as a cook he decided to develop his passion about food by earning a B.S. in Agricultural Sciences and a M.S. in Organic Agriculture at Pisa University. During those years Robin kept developing his bread-making skills, leading him to start growing small plots of grain crops and getting involved in several participatory research projects of the Italian rural network (Rete semi rurali). 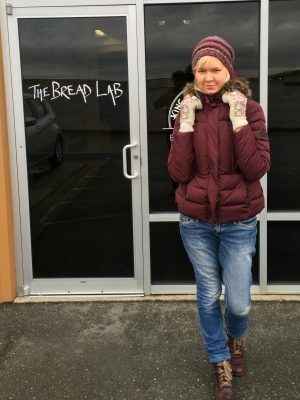 Robin is currently pursuing a Ph.D. in crop science at the Bread Lab under the mentoring of professor Dr. Stephen S. Jones, exploring the intersections between breeding and baking. Laura comes to the Bread Lab with a B.A. in Social Anthropology from the University of Cambridge and more than two years experience of managing a small organic coffee roastery and café in her hometown in Estonia. She is working towards her PhD under the guidance of Dr. Stephen S. Jones. Laura enjoys cooking, thinking about flavors, and tracing back the origins of the recipes and produce she uses. She is fascinated by the multitude of meanings cooking can have for different people, be they empowering or anxiety-inducing, and the way people decide what, when, where and together with whom they eat and what the consequences of such decisions are. Coming from a Nordic country, Laura is partial towards rye and rye sourdough and hopes to spread the love for it also in the U.S., both among the farmers and bakers. In addition to bread, she is keen on porridge as an alternative and less appreciated use for whole grains.